Today we visit together Calci, a small town with 6271 inhabitants in the province of Pisa. The town is 10 km from Pisa and 20 km from Lucca. 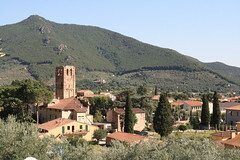 Calci is a collection of villages that formed around the palace of the Bishop of Pisa in the republican period. The villages are spread along the great river Zambra. The settlers drew from it the water for the tanneries and used it also to move the water wheels and windmills. Calci has always been known for the cultivation of olive trees and the extraction of first-class olive oil. The picturesque medieval settlements nestle up against the ridge of the Pisan hills and give the whole panorama the appearance of a picture book. In fact, the area around Calci is a true insider tip. The landscape seems even to surpass the beauty of the Chianti region. Steep serpentines lead to most beautiful settlements, which remember the life 100 years ago. 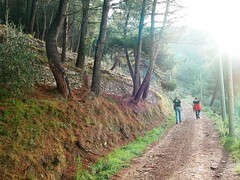 The houses are spread along the ridge up to 900 meters altitude. At the highest point of Calci is a romantic beer garden, where you can enjoy a breathtaking view, which particularly in the evenings offers a panoramic splendor. On clear days you can see from the mountains to the island of Corsica. 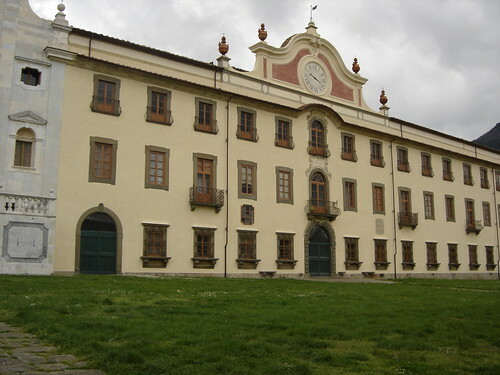 Among the architectural masterpieces of the village are the charterhouse , the Sanctuary of Madonna delle Grazie and the monastery Sant’Augustino. 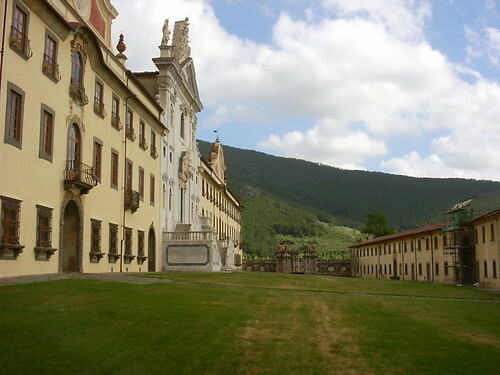 We invite you to an unforgettable trip to Calci, and to a visit to the fantastic charterhouse. Our two cottages are hidden in the Pisan hills amidst fields of sunflowers, rows of tall cypress trees, vineyards and olive groves. There you will find peace, rest and beautiful accommodations.